ConvergeOne has partnered with IBM for over 20 years to provide hardware, software and services that maximize the performance and lifetime value of assets across an enterprise—production, facilities, administration and IT— and closely align them with your enterprise strategy. A strategic partnership with IBM allows ConvergeOne’s experienced professionals to offer you the most advanced products in system technologies. We provide IBM solutions including hardware, software, services, maintenance and support. As an IBM Premier Business Partner and Specialty Elite Power and Storage Partner, ConvergeOne has highly skilled sales, engineering and support teams that are trained and certified in IBM technologies. The ConvergeOne team has decades of experience deploying solutions in IBM environments. The hardware, software and maintenance solutions your data center needs. From cutting-edge technologies, to rock-solid industry standards, we have the IBM hardware and software solutions to support your business needs. Power Systems are built with open innovation to put data to work across the enterprise, and across architectures. They build on the first processor designed for big data and an ongoing stream of innovation from the first open server ecosystem to deliver insights in real time, superior cloud economics, and the capability to handle your most mission-critical applications and data with confidence. ConvergeOne provides software solutions to address the key pain points confronting your company – from storage management to virtualizing your business infrastructure. As the world’s largest business software company, IBM offers an unmatched software portfolio that’s both broad and deep in its capabilities to solve real business needs. ConvergeOne offers an extensive, customizable range of IBM Hardware Maintenance and Software Support Services. Enhanced hardware and managed maintenance options allow you to easily manage maintenance across your enterprise while freeing up your resources by minimizing outages and ensuring high system availability. IBM’s software support services provide robust coverage for software product upgrades, fixes and technical support. ConvergeOne can also provide you with IBM maintenance consolidation options. In an effort to simplify the management of hardware and software maintenance, as well as save money, we will work with you to review and consolidate your maintenance under one agreement. 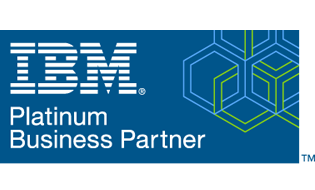 LEARN MORE about IBM Hardware Maintenance and Software Support Services. Storage isn’t just storage anymore. With IBM Storage solutions from ConvergeOne you can get more value from your data for your business. IBM disk storage systems provide storage efficiency solutions such as Real-time Compression™, automated tiering, virtualization, and thin provisioning. IBM disk storage works perfectly in tandem with flash storage as a hybrid storage solution, by increasing speed and efficiency, and lowering IT cost. These disk storage solutions increase the data storage landscape for organizations of all sizes to boost system performance. IBM Tape and Virtual Tape solutions offer high capacity, high performance, reliability and security while helping to lower storage TCO via scalability, energy efficiency, footprint reduction and lowest cost per TB. IBM invented the concept of magnetic tape storage, and tape solutions continue to be a cost-effective, reliable media for data retention. IBM Flash storage can unlock the full value of your IT infrastructure and boost performance without re-architecting applications. Businesses are integrating flash systems to boost critical application performance and strategically deploy resources for data management. IBM leads the industry with flash optimization in storage, systems and software. New era cloud environments and applications such as analytics, mobile and social are driving huge growth in data volumes, making data the new natural resource. The IBM Software Defined Storage family of solutions offers you agility, control and efficiency.